Is The Clinton Correctional Facility Named After The Clintons? Hillary Clinton's 2016 presidential campaign may be in full-swing, but she hasn't been the only "Clinton" name in the news lately. Over the past few weeks, New York prison escapees from the Clinton Correction Facility have been making headlines with a dramatic Prison Break-esque story. Is it a coincidence or is the Clinton Correctional Facility related to the Clintons? 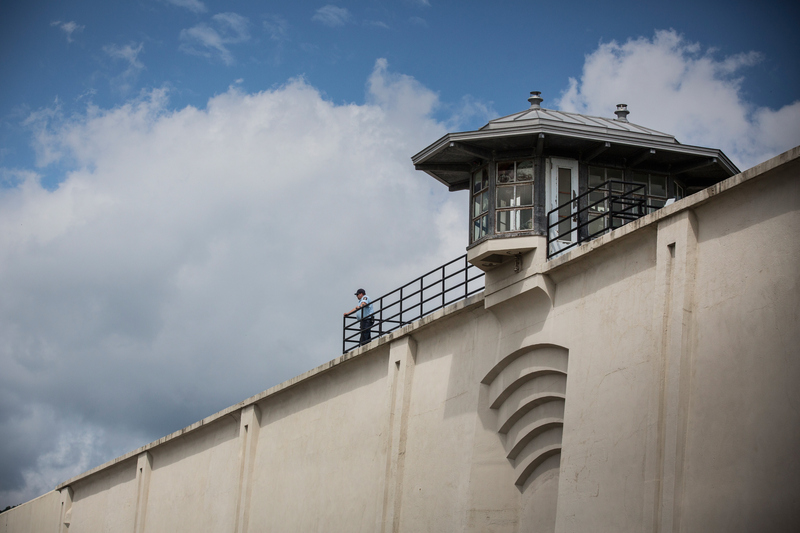 In case you haven't been following the story super closely, here it is in a nutshell: On June 6, two New York inmates Richard Matt and David Sweat made an elaborate escape through the walls of their jail cells, with the alleged help of prison worker Joyce Mitchell. Officers spent weeks scouring the area looking for both men, who were each serving long sentences for murder at the time of their escape. Finally on Friday, June 26, after reports of gunshots near Malone, New York, law enforcement officers closed in on one of the suspects. There, law officers shot and killed Matt, who was allegedly found drunk at the time and wreaking of booze. Just two days later, Sweat was also chased and shot by a state trooper near the Canadian border, though unlike Matt, he survived his wounds and is currently listed in critical condition. Now for the prison at the center of it all: According to CNN, the Clinton Correctional Facility is located in the town of Dannemora, New York, which is a part of Clinton County. And because I did a little extra digging, a quick peek into The Origin of Certain Place Names in the United States tells me the county is named after General George Clinton, the first governor of New York and later the vice president under Thomas Jefferson and James Madison. PBS reports that General Clinton fought in both the French and Indian War, and later served as a general in Revolutionary War. Clinton County is named after George Clinton, and presumably the facility is named after the county it's located in.